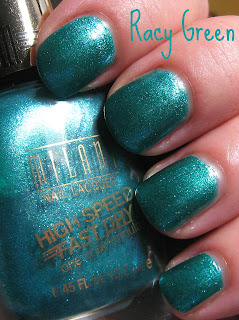 Milani will be releasing eight Limited Edition High Speed Fast Dry One Coat Formula Nail Lacquers next month, and I have two of them to share with you now. I'm not certain of exactly how many different finishes there are in this collection, but these two have a shimmer finish with foil micro glitter. I also received Yellow Whiz, which appears to be a creme finish. With a name like that and the promise of a one coat yellow creme, I think that one deserves a post all by itself! Here's the press release on the collection if you missed it earlier. 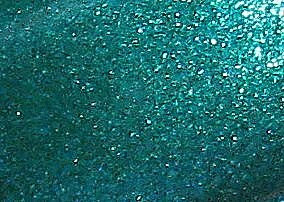 First up is Racy Green, which is a slightly green based turquoise shade. This shade has foil micro glitter that appears to be the same color as the base, as well as an additional glitter that's just a touch lighter. 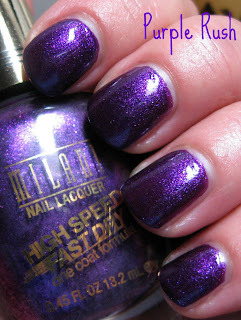 Purple Rush is a vivid purple shade with matching foil micro glitter. It also has a lesser amount of red micro glitter. If you love purple hues, there's a more lavender shade that's also included in this collection called Violet Dash. These really are one coat polishes, and they're extremely pigmented. The formula was nice and easy to apply, and they dry to a glossy finish. I used just one coat, and the photos are shown with no top coat. If you're looking for a colorful fast and flawless application that dries quickly, these will definitely meet those standards. The press release mentions that these have a new flat brush, so I'll have to compare them to some older Milani's tomorrow when I swatch Yellow Whiz. I didn't notice anything out of the ordinary, but I do want to compare them and see just what the difference is. Ooo! These are nice. I need to check them out. Thanks for the swatches and review. Okay I need both of those, now! 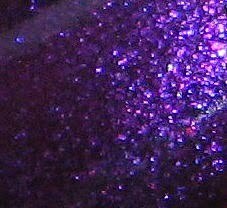 I've been waiting for a nice opaque purple glitter and I've been getting by with Nubar's Violet Sparkle but I know I need that! These are really nice. I'd buy them right away but I have to finish my root canal. Already spent $300 and I owe another $1042! That's a lot of polish I could buy, darn!